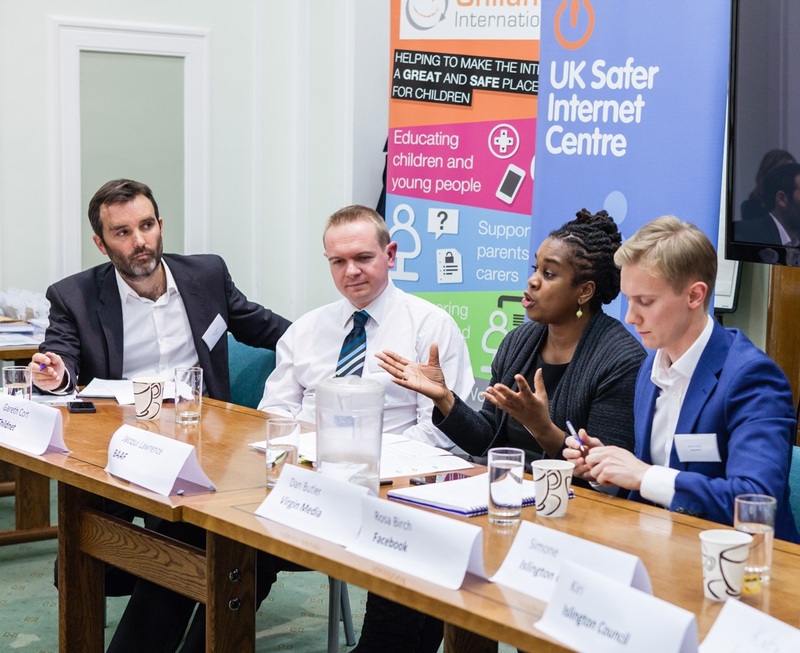 On Monday 10th November, Childnet, Islington Council and London Grid for Learning hosted an event to celebrate the launch of two new resources that will help support parents and carers in keeping their children safe online. With the aim of empowering all parents and carers to support young people on the internet, the launch event brought together an expert panel with representatives from Facebook, Virgin Media, BAAF, Islington Council, Childnet, as well as two Looked After Children, who highlighted the hugely important role that parents and carers play in supporting children and young people to stay safe online. Guides for foster carers and adoptive parents: Developed in partnership with Islington Council’s adoption and fostering teams, Childnet have launched leaflets for foster carers and adoptive parents, who can face particular challenges when keeping children safe online, as social media can facilitate contact with birth families; and offline vulnerabilities can increase the chances of being exposed to online risks such as cyberbullying and sexual exploitation. 11 translations of Childnet’s parents leaflet: Developed with support from the London Grid for Learning, Childnet have also launched e-safety leaflets for parents and carers in 11 additional languages, to help empower all parents and carers, including those with English as a second language. The launch event at Islington Town Hall brought together an expert panel of industry representatives, educators and adoption and fostering experts. Opened by Will Gardner, Childnet CEO, and Eleanor Schooling, Islington Council’s Director of Children’s Services, the panel discussion explored how parents and carers can support children online, and addressed the particular challenges faced by foster carers, adoptive parents, and parents with English as a second language. Industry representatives, Rosa Birch from Facebook and Dan Butler from Virgin Media, discussed the tools available to help parents and carers manage privacy, report concerns and restrict access to inappropriate content, while it was recognised that these technical solutions are not sufficient on their own to protect children, and the active involvement of parents, carers and other trusted adults is essential. Gareth Cort from Childnet discussed how parents and carers need to have an ongoing dialogue with children about staying safe online, and how to go about that; and Jacqui Lawrence from the British Association of Adoption and Fostering shared how curiosity is key - both in embracing and managing children’s natural curiosity, and in our responsibly as parents and carers to be actively curious in learning more about technology and children’s digital lives. The event’s discussions were brought to life by two young people who are part of Islington Council Social Care’s children’s active involvement service. The young people emphasised that children in care can be more vulnerable to online risk, and that cyberbullying was one of the biggest concerns for young people. While they said that young people can be worried about telling an adult about any online issues, having an open dialogue and trust is so important. The launch event which was attended by a large audience of foster carers, adoptive parents, schools, councils and fostering and adoption agencies, highlighted the important role that parents and carers play in supporting children and young people to stay safe online, and the launch of these new resources will help to empower all parents and carers to do this confidently. All of Childnet’s resources and advice are available at www.childnet.com.